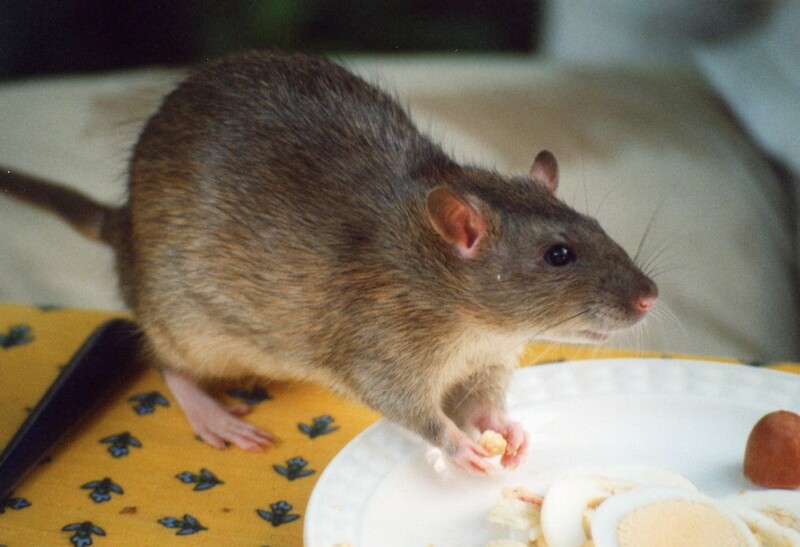 Rodents, particularly rats, are closely linked to humans. That's because people and their dwellings provide them with the things they need most to thrive. If you have a rodent infestation, Triangle Pest Control can help. We offer pest control in Matthews, NC. First and foremost, there are some basic things that can be done to keep rats out of your home. Why are Rodents like Rats Dangerous? Rats can slip into holes the size of a quarter. Check your home for any opening that size and larger. Seal them up with proper materials. These include steel wool, hardware cloth, caulk, cement, and plaster. Weather-strip doors and windows if there are large cracks. Rats are resourceful. They will find things to eat around your property, so you have to be diligent in dealing with them. Cover garbage cans at all times. Pick produce from your garden and trees as it ripens. Pick up and compost fruit and vegetables that fall to the ground. Feed outdoor pets during the day and don't leave leftover food lying around. Don't store pet food outside without making sure it's in rodent proof containers. Don't give these vermin a place to live. Remove debris such as limbs, old cars or appliances from your property. If you have wood piles or lumber, store them at least 18 inches above ground and a foot or so away from your home and other walls. Remove heavy vegetation, as rats consider this is a great hiding place. Rats aren't Olympians; they can't bridge that gap. There are several commercially available traps to catch rats inside your home that are not dangerous to pets and children, for example, cage traps. Toxic baits and poisons should be used outside the home. Rats can spread poison inside your home, making it dangerous for all. Always read and follow label directions. Make sure rat bait is in an enclosed bait station. Keep the bait where children and pets can't reach it. Chances are, rats are a neighborhood issue. If you have a rat problem, it’s probably you won't be the only one dealing with these rodents. Band together with neighbors to check community areas for rat activity. Take the same steps listed above in these areas. In general, the most effective step for eliminating rats is to call on professional rat exterminators when you see evidence of a rat infestation. Rats are dangerous, so it's best not to take a chance when dealing with them. Expert help will give you much better results than working on your own. Rats are one of the most frustrating household pests. They harbor diseases, they cause destruction to your house, and they contaminate your food. If you want to learn more about how to get rid of rats and many other household pest, please click below to download "The Ultimate Guide to Household Pests".